If you would rather just talk to someone about neighbourhood disputes please phone us on 0800 298 5424 and a surveyor will contact you. Please note we are independent surveyors. Two detached properties built in the 1980’s, part of a residential estate of approximately 100 houses. Both properties were adjoining a garage (the type that sells cars and services them). The original owner of the garage had leased out the premises. We will refer to the owner as A, the lessee as B and the two owners of the detached houses as C and D.
The houses owned by C and D were adjacent to the garage; more correctly adjacent to a rough embankment that fell away from the houses onto a level area where the garage workshops were and also the cars for sale display area. Some years earlier the owner of the garage A had fenced around the car sales area for security. This meant that there was a bank of rough land on a slope between the garage owned by A and the houses owned by C and D. Over the next twenty or so years (and note this is very important) C and D decided to move their fences adjoining the rough embankment by a few metres then, in both cases, they decided to extend their houses onto the land that was originally owned by A for the car sales garage. As the garage and the car display area was let out to B he was not aware of where the fences once were and, of course, was not the main focus. The boundaries remained in place without being challenged over the twenty or so years, or so C and D said. It is often quoted wrongly that if you enclose land it automatically becomes yours. This is not strictly true and there are various provisos around this basic statement, clarified in the Land Act 2002 which basically states that for registered land it has to be ten years and one day, to be exact and for unregistered land it has to be twelve years we go into detail of the Act in a separate article. Often the basis for many neighbourhood disputes – where exactly is the boundary line? We should say the first port of call is the Land Registry documentation but this is not strictly true. It is one of many sources that needs to be considered in establishing where the boundary is. It should also be remembered that the Land Registry documentation is indicative of where the boundary is and that if you go to court you should ensure that you have official Land Registry documentation, as it is only admissible in court. The Land Registry documentation is available from the Land Registry or any good Surveyor and you will usually receive a worded document and a plan. Most people move straight to the plan. The problem with this is that such a scale and thickness of a line that denotes a boundary when scaled up can be a metre wide in itself, which is not very helpful when perhaps looking to establish within a 100mm or 200mm on a boundary (a few inches in old measurement). See our article on The Garage That Never Was if you want to understand just how important those few inches can be. Part of the Land Registry documentation is the written word with which you can clarify where the boundary is, or not as the case may be! These are different to the Land Registry documentation as Land Registry came into existence in 1948 (if we’ve got this wrong please phone or e-mail us) when from that date it was compulsory to register all land. There are, however, still masses of land (and by definition the property on it) not registered, simply because it has been held within the family for many generations and therefore many decades. Rather than confuse the matter as to the other various sources of information available, in this case the Land Registry documentation was suitable as there were several metres of movement in the boundary fence, but there is more to this case. House owner C, having felt that he was successful with moving the boundary, then decided to try and take possession of the embankment by fencing it. To paint a picture, this is a substantial piece of land, for those that play sport and know the size of a tennis court it was probably tennis court size in area, for those that don’t it was a plot easily large enough to build another house on if you so wished and could get the appropriate Local Authority approval. Of course if C had managed to get away with this the land would have been free, so it would have been a very profitable exercise, well worth waiting ten years and one day. In this case the land was registered. However, unfortunately for C, the house owner, and fortunately for A, the car garage owner, he noticed the fence and B happened to comment one day to A about it. A obviously wanted to ensure that he didn’t lose his land so therefore decided to appoint solicitors to look at what he could do. In turn, they appointed specialist surveyors. With adverse possession and key issues establishing how long the person wishing to possess the land has shown it to be theirs and establish this land as being solely and only in their use. This is where the ten for registered land and twelve year rule for unregistered land come into play. In this instance A, the garage owner, was in a good position as B, his leaseholder, could identify that C, the householder, had only fenced the land in the last few years. However, C claimed it was over the required ten years and it therefore came down to the specialist surveyors to establish when the fence was put in place. With this evidence, together with the fact that the garage owner A and leaseholder B had a gate onto the land, ensuring that C did not have exclusive use of it, although he himself had interestingly put a gate onto the land. How Was This Case Settled? The case was settled out of court with C agreeing that he didn’t have any rights to the rough bank, however if you recall the original moving of the fence by C and D was over the ten years and they had had exclusive use this land area for the ten years, therefore they had achieved adverse possession. However, with negotiation the surveyors managed to agree the line of the boundary. This was important to A as the way that C and D had extended their gardens by moving their fences had left a curved line to the boundary as the fence weaved its way around, which was instantly noticeable to the eye. Why Did The Boundary Weave? The boundary weaved because it was set out from the view point of C and D, around the extensions that they had carried out (yes, that is correct on A’s land) and also trees that grew on the rough land. In fact this was one of the arguments that C had, that the boundary fence should be around the trees. We were, however, advised that this was a land matter and, as such, it was the lines of the boundary that were important and not the physical objects on it, i.e. the trees and the extensions that C and D have carried out. Interestingly, if some money had been spent on professional advice by C or D they would have then understood their position better and been better able to argue their case. We wrote to C and D when we were in discussions with A and B advising them that we could act for all parties, therefore saving the cost of their own separate solicitor and specialist surveyor. However, they declined this offer and went to a non-specialist solicitor and the result was not only the loss of the enclosed land but also the loss of part of the moved boundary, which in theory they should have been entitled to. Interestingly, it was only the goodwill of A that allowed them to keep their land and therefore keep their extension to their homes intact. If you would like to talk to one of our friendly Building Surveyors at Disputes Help please call us on Free Phone 0800 298 5424 to discuss your requirements, we will be glad to help! We are Disputes Help, Independent Building Surveyors. 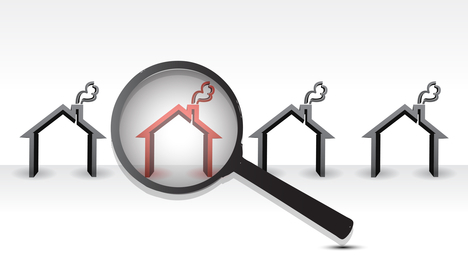 We have an extensive knowledge of property, and the associated problems, gained over many years. We can help you solve your Dispute!